– First Day of Harvest is made from a careful selection of arbequina and picual olives, harvested at precisely their peak moment and never before nor after that moment. Castillo de Canena — a company well known in the world of haute cuisine for producing some of the finest extra-virgin olive oils in the world — is having a celebration. Every year, the company invites someone from the fields of culture, art, sport or scholarship, someone who loves fine olive oil, to design the label for the exclusive First Day of Harvest collection. 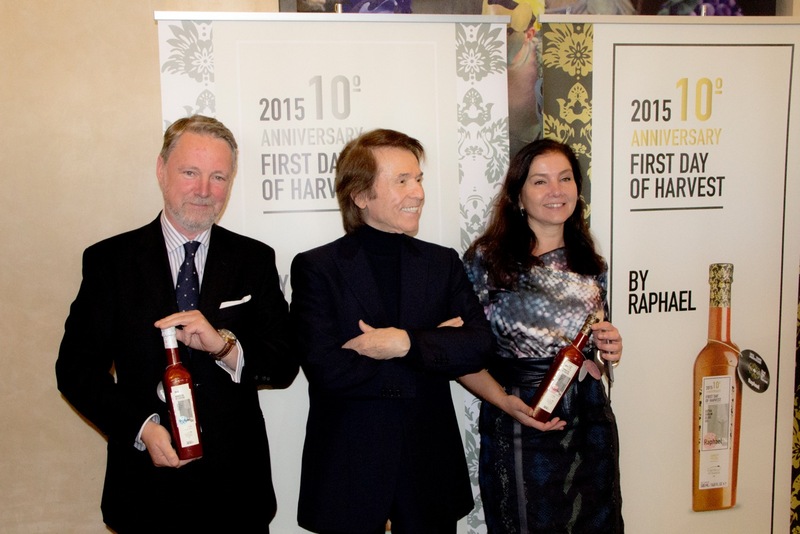 This year the company’s iconic cherry-colored bottles are adorned with a new label designed by the singer Raphael to represent the feeling of being acclaimed by his beloved fans during a concert. This year’s bottles of First Day of Harvest have a touch of glitter to celebrate the tenth anniversary of the collection. “I wanted to participate in this project because the First Day of Harvest collection is made with the same energy, passion and excitement I feel every time I step onto the stage. 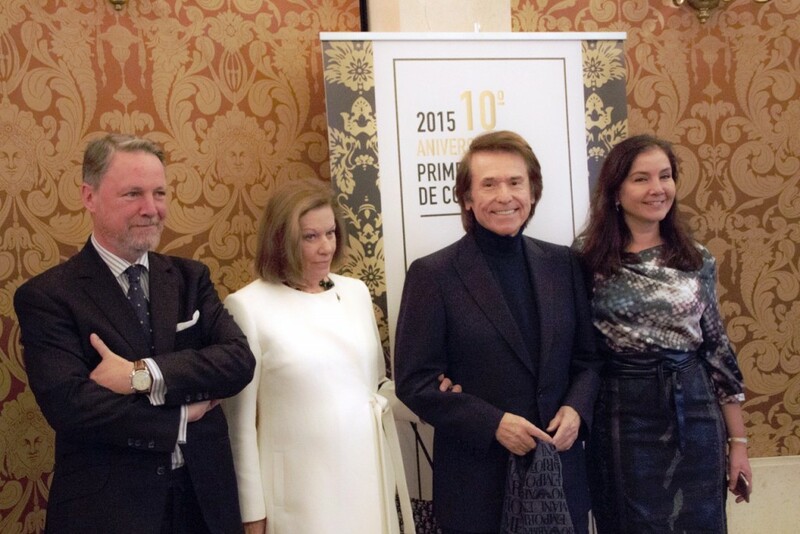 The inner strength that arises from work well done is what allows us to give ourselves over completely to our audience,” says Raphael, a great advocate of art and of quality Spanish gastronomy. Raphael is a pioneer of Spanish-language music around the globe. In the early 1960s he signed his first recording contract, and in 1962 won the best performer award at the Benidorm Festival of Song, an important event in those days. His name began to be a household term. From there he began breaking down barriers and winning fans in Germany, in Turkey, in the Olympia Theatre in Paris, on Talk of the Town in London, in Argentina, Mexico and Puerto Rico. In North America he packed the house at Madison Square Garden in New York, appeared on the Ed Sullivan Show on CBS, sang a duet with Tom Jones on the singer’s television show, performed for a full month in Las Vegas. He also performed in the Soviet Union, Japan, Australia, South Africa, etc. He is the only Spanish language artist to have won a Uranium Record for sales of over 50 million disks (in 1981). Among other prizes and awards he also holds 350 Gold Records and 50 Platinum Records. The design by Raphael of the labels on the tenth anniversary edition of the limited collection First Day of Harvest coincides with honors received in the most recent edition of the prestigious and internationally recognized guide Flos Olei. The Flos Olea Guide 2016 names Castillo de Canena the “Best Oil Producing Company in the World.” It has also selected the company’s extra virgin olive oils as the best on Earth, giving them the maximum possible score (98 points) for the fourth year in a row. These achievements situate the Castillo de Canena extra virgin oils among the top 20 in the world. “At Castillo de Canena we know how important it is to take great care selecting only the very best olives of the arbequina and picual varieties, and how key it is to harvest them at the exact moment of peak ripeness and neither before nor after that moment,” says Francisco Vañó, the managing director of Castillo de Canena. With a limited production, the First Day of Harvest Arbequina is a dense varietal oil, golden green in color, with a complex and balanced fruity aroma of fresh olives in which green grass aromas come to the fore. Unripe banana flavors stand out, as well as green apple, green almond and aromatic herbs. On the palate, it is sweet at first, followed by a pleasant bitterness and slight pungency, complementing the complexity of the notes we find: fruit compote with a touch of green (apple, banana), aromatic herbs (chamomile), and a touch of citrus. Very harmonious, with a retronasal flavor of almonds. It is ideal for cooking fish, as well as for vinaigrettes and mayonnaise, and also an excellent substitute for butter in making cakes and cream soups. The First Day of Harvest Picual is an intensely green oil. It has a very complex nose, with a potent aroma of olive leaves, fig leaves, tomato leaves and artichoke. These green aromas are juxtaposed with some fruity tones: banana and green apple. As it passes through the mouth we find it mild at first, with a pleasant and balanced bitterness and pungency, and a very complex retronasal sensation of almonds, artichoke, fig leaf, tomato, apple and other wild herbs (mint). Quite persistant and somewhat astringent. This extra virgin picual varietal oil is ideal for dressing salads, as well as for use with grilled meats, gazpacho, cured hams and cheeses and other uses. This tenth edition of the First Day of Harvest by Castillo de Canena will be present in over 40 countries — principally in Europe, the United States, Latin America, Japan and Australia — thus consolidating its status as one of the greatest extra virgin olive oils in the world, thanks to the ongoing recognition of this oil since its first pressing. First Day of Harvest is the excellent result of a whole year of effort by growers. The oil pays homage to the mystique of the first juices obtained in the harvest, in all their magic and joy. “Only someone capable of perceiving the magic and the beauty of the olive tree and its environment, and of understanding the energy and the care which the grower devotes, year after year, to achieving the most fragrant, balanced and complex fruit, can capture in the tiny space of a label all the emotions and passions of the special day in which the first olives are gathered,” affirms Rosa Vañó, Marketing and Sales Director at Castillo de Canena. In previous editions, personalities such as Sara Navarro, Enrique Ponce, Joaquín Berao, Ainhoa Arteta, Manolo Valdés, Pau Gasol, Alejandro Sanz, Fernando Alonso and Roberto Verino have participated in this unique effort. 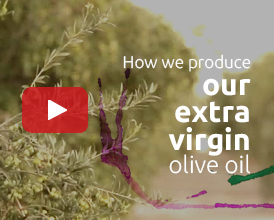 With an olive-growing history going back to 1780, when the Vañó family tended their own olive trees of the picual, arbequina and royal varieties, the family now personally oversees every step in the production and sale of their extra virgin olive oil. The company, which takes its name from the family castle high on hill overlooking the town of Canena (Jaén), prides itself in a scrupulous respect for the environment. This commitment to sustainable development includes the use of solar energy, green cover throughout the area of cultivation to reduce erosion and conserve indigenous vegetation, and the use of residues from pruning to generate non-polluting biomass energy. 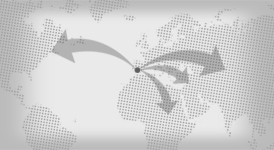 The company enjoys distribution in over 40 countries, such as the United Kingdom, Germany, Russia, the United States, Japan, China, the United Arab Emirates, Mexico and Peru, among others. 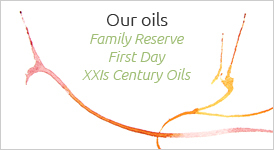 Its oils have received the highest international awards in the sector. The company also belongs to the association Grandes Pagos del Olivar, which brings together the best Spanish producers of extra virgin olive oil, producers who opt for limited production of extremely high quality oil, using methods which combine the best of artisanal production with the most advanced technologies. Por favor escríbanos a info@castillodecanena.com y le informaremos de los puntos de venta más cercanos.